Who hasn't read The Great Gatsby? This was not my first read of the now-classic Great American Novel. I first encountered Daisy, Tom, Gatsby, and Nick Carraway during my sophomore year of high school. The copy I read this time around was one I'd Mooched a few years ago. While I don't remember actively disliking the book when I was in high school, it was one of those books that you read because you HAD to, not because you WANTED to, so it always had that sense of the mandatory attached to it. This time, though, I simply wanted to see if my reactions to the book were the same as those I had when I was a teenager. And, of course, they were not. I remember being rather disgusted by the behavior of most of the characters of the novel when I first read it. Daisy and Jordan and Tom and, to a certain extent even Gatsby, reflected the callousness of the rich that came to kind of characterize the way I eventually saw most wealthy people. I was honestly physically sick to my stomach when I first read the book. This time around, though, I didn't have the same visceral reaction to the characters or their flippant superficiality. Some of that could be due to the naivete in my 16-year-old self that no longer exists in my 24-year-old self. 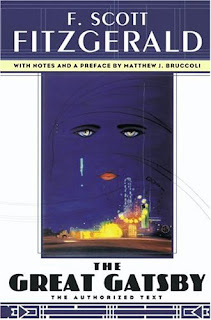 During this reading, I found myself liking, even feeling sorry for, Gatsby, that tragic figure born of the Jazz Age. I'm not sure, however, whether to view him as a victim of the vicissitudes of the First World War or as a cunning puppeteer, making his fortune by manipulating the desires of Americans during the Roaring 20's. I think I liked The Great Gatsby better this time around. I'm not quite sure why. Experience with the way of the world is certainly part of it. But I'd give this book four out of five Whatevers. I'm glad I re-read it. I'm going to keep it around and read it again in another 15 years or so to see if anything changes between now and then! Good luck to anyone still reading. I'm going to crash! Carbo loading with toast to give myself more energy and drinking water to stay hydrated! Good luck to everyone still in it!!! Holy crap, Hour Fifteen! I'm still reading, but getting a little tired. Consuming some Cherry Coke now to try to keep awake. Let's see how long I can hang in there! Hopefully, I'll get my second wind after this soda! I blew through my magazine in no time, so now it's on to the Bookmarks that I got in today's mail! After that, if I'm still conscious, I'll be starting The Great Gatsby, which I haven't read since high school. I haven't been visiting blogs this RAT. I don't know why, but it has something to do with me wanting to spend less time on the internet and more time reading. I'm starting to get a little tired, but I'm about to go get another Diet Mt. Dew to keep me awake! Finished my book that was already in progress and am now reading a magazine. My new copy of Bookmarks arrived today, too, so I'll probably read that a little bit later! 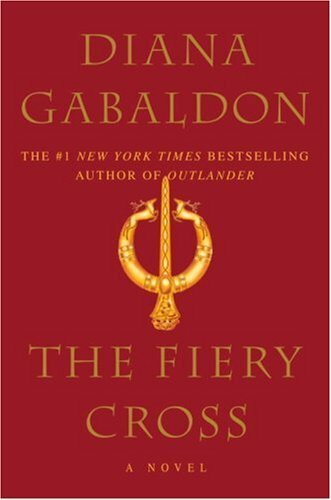 I just finished The Fiery Cross by Diana Gabaldon. The copy I read was purchased by me (most likely on eBay) several years ago. The book continues the story of Jamie and Claire, Brianna and Roger, three of them time travelers who risked everything to return to the past through a ring of standing stones. The family is establishing a new life in the New World, creating a homestead on Fraser's Ridge in North Carolina, in the years before the Revolutionary War. The book covers the intrigues and adventures of all members of the family (even those of the extended family...homesteaders are much like family to the Frasers and MacKenzies). As usual, I loved the book. Heart-pounding and tender by turns, Diana Gabaldon knows how to write an excellent, enthralling novel. I'm re-reading this one in preparation for reading An Echo in the Bone which I received as a Christmas gift (like two or three years ago). Another new novel in the series, Written in My Heart's Own Blood, is due out sometime in the next year. Good. I'll be prepared for that one, too. Four and a half out of five Whatevers for this one! So much fun to read during the Read-a-Thon! I won one of the random reader drawings from Hour Seven! YAY! I love getting Read-a-Thon prizes! Making pretty good progress...very close to the end of my book. Then I'll be perusing the November issue of All You magazine! The weather is gorgeous! All the windows and doors are open. I love fall in Florida! Switched locations from couch to bed for a while, but that's making me too sleepy. Did spend some of the last two hours making food and cuddling one of the cats, also, which accounts for the lower page count. Okay, back to the book! I'm close to finishing! 1. I love food - cooking it, eating it, whatever. 2. I'm very good at injuring myself without really doing anything at all - I pulled a muscle in my neck last night by simply lying in bed. 3. I recently got back from a week's vacation on the other side of the state. Counting what I'm already reading, five books and a magazine. Go all 24 hours. I know it won't happen, but it never hurts to have a goal! 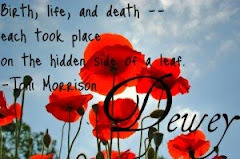 Read short things: short stories, short YA or easy readers, magazines, graphic novels. The variety will keep you interested and awake. Dewey's 24-Hour Read-a-Thon starts in T-minus 14 minutes. I have my snacks, my book pile, my caffeine, my husband, and my reading spots all ready. The Hubster is participating again this time, reading for MS awareness, so we plan on having a very exciting day together. I can't wait to crack open my book and start reading! The RAT is my very favorite blogland event of the whole year. I've participated in every single one since I started book blogging in 2008 - I think that makes this one number 7? I love setting aside a whole day to do nothing but read (and eat junk food and blog). Today I'll be starting with Diana Gabaldon's The Fiery Cross, which I started reading while on vacation. I have about 200 more pages of that left. Then I have a magazine and several other books to keep me occupied! Here I go to finish waking up and getting ready for the RAT!!! I finished this book last night before bed. Couldn't put it down at the end. I purchased this copy myself at Borders, if the price sticker is to be believed. 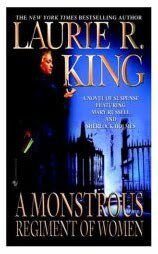 This is the second installment in King's Mary Russell/Sherlock Holmes series. I didn't enjoy it as much as the first one, but I'm not sure if that's because of the subject matter of this one or because the novelty has worn off. Whatever the reason, it took me a while to get into it, possibly because it took a while for the mystery to develop. In this novel, Mary runs into her old friend Ronnie Beaconsfield and is coerced into attending a service with Ronnie at the New Temple of God, a feminist church led by one Margery Childe. Margery is a mystic of sorts, a magnetic woman whom Mary doesn't wish to be drawn to, but inexplicably is. Margery is well-to-do and Mary begins to wonder where she, and the church, get the money. When several young followers of Margery's Temple come to strange, accidental deaths, Mary decides it is time to investigate. Not being a particularly religious person, I wasn't very interested in Mary's digressions into her Biblical studies or the long recitations of Margery's sermons. These topics seemed to take up a lot of room that I thought could have better been spent on developing the mystery. Also, there was a strange typo (or perhaps King made the mistake in her original manuscript?) regarding one character's name that really, REALLY bothered me. But *****SPOILER ALERT***** the budding romance between Holmes and Rusell was, I thought, well done, and the passages describing Mary's growing dependence on heroin were also quite illuminating. Of the two books I've read, the first was the better, in my opinion. But this one was also pretty well done. I'll give it four out of five Whatevers. Recommended for those interested in Biblical scholarship, especially where it intersects with feminism, for those who are interested in the feel that the Roaring Twenties give the setting of a novel (there are flappers and cloches galore in this one), and for those who simply love the Holmes and Russell series.